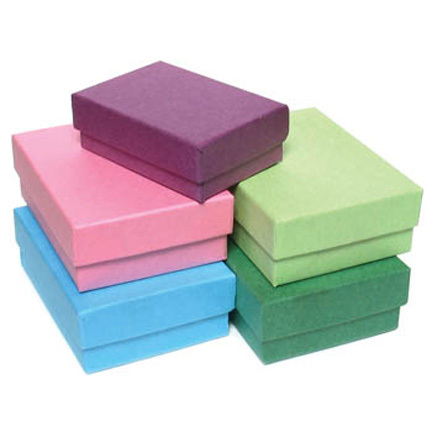 Cotton Filled Boxes Pastel 3-1/2" x 3-1/2"
Kraft covered cotton filled boxes available in cheerful pastel colors; Pink, Purple, Green, Light Green and Light Blue. 3-1/2" x 3-1/2" x 7/8". Price per 100 of a color. 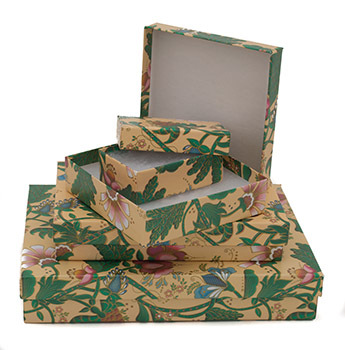 3-1/2" x 3-1/2" x 7/8"